Robin Street Market - The Market Blog: Sun Rising - Launch Tonight 16th August! Sun Rising - Launch Tonight 16th August! Ok, so I know I said I was going to focus on posts about Father's Day, so here's my "Father's Day angle" on today's post. My gorgeous husband David, who is also a fantastic Dad to our gorgeous daughter, is involved in launching a brilliant show tonight at The Toff In Town. 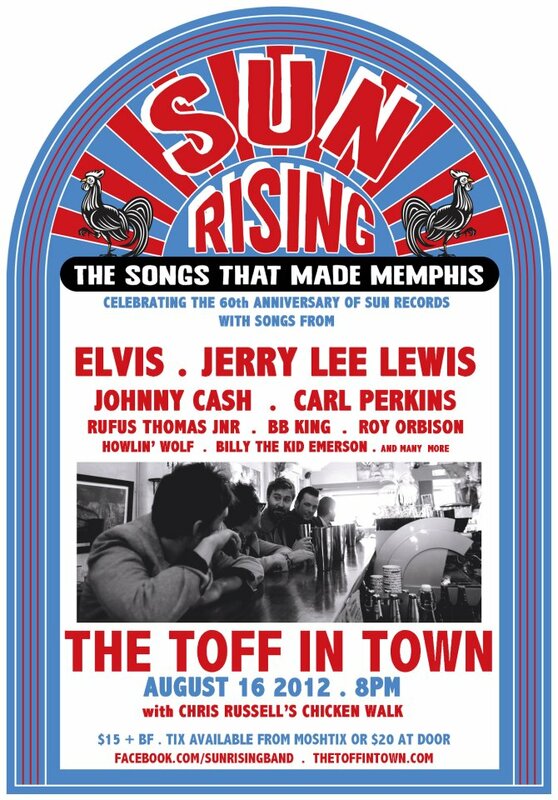 The show pays tribute to Sun Records in Memphis and includes songs by artists that recorded at Sun Records including Elvis, Jerry Lee Lewis, Carl Perkins, Johnny Cash, BB King and loads more. The band are absolutely brilliant and along with the music you will also get to hear some fascinating insights about Sun Records and the artists that recorded there. 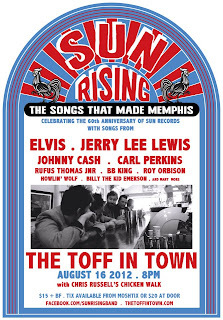 So, if you are in Melbourne, come along tonight to the Toff tonight and experience "The Songs That Made Memphis"!